Send yourself on a tropical vacation every night with this Cabana Inspired duvet cover set from Impressions. 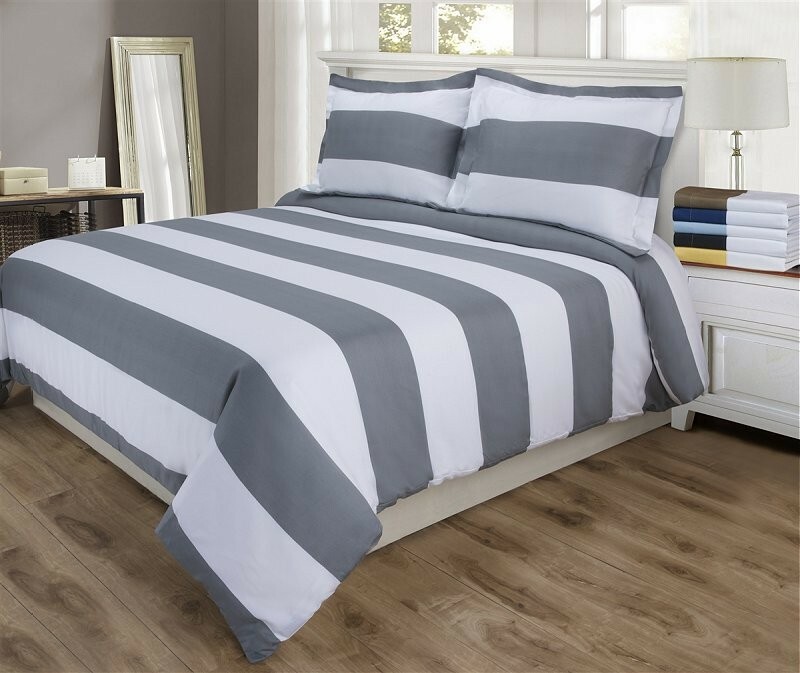 This design features broad stripes of the specified color and white and is made with a superior blend of materials that makes these sheets soft, easy to care for and wrinkle resistant. 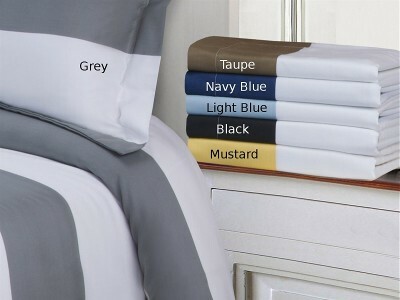 Each duvet set is made of 55% Cotton and 45% Polyester. 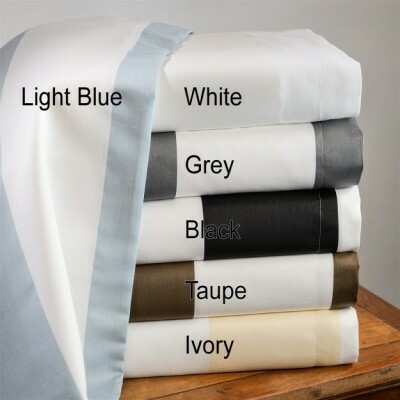 1 - Duvet Cover 92" x 106"
2 - Pillowshams 20" x 36"